Nathan was born on 1 August 1832, at Colchester, Essex, England, and was 8 years old when the family migrated to Australia. He went to the Bendigo goldfields about 1852, and while living in Eaglehawk Gully, met and married Jane Davies on the 12/3/1856 at the Presbytarian Church, Sandhurst. Their marriage certificate states that Nathan is listed as residing at Eaglehawke Gully (there are still mining tailings easily visible today) aged 22, a miner, his birthplace being Colchester, Essex, ( England) and his father listed as a potter. Jane Davies is listed as residing at Peg Leg Gully, aged 18, birthplace Martlewy, near Narbeth, Pembrokeshire (Wales), her parents Thomas and Mary Davies, and her father listed as a miner. Henry Samuel Welham b. 1857 Eagle Hawk Gully, Bendigo, Victoria – d. 30/6/1908 Mataura, Southland, New Zealand. George Welham b. 30/12/1858 Newcastle, N.S.W. – d. 15/9/1879 Milton, Southland, N.Z. William Welham b. 1861 Newcastle, N.S.W. – d. 11/04/1889 Milton, N.Z. Anne Welham b. 1865 Newcastle, N.S.W. Eaglehawk Gully, Bendigo 1853 Watercolour by William Bently 1836 - 1910. 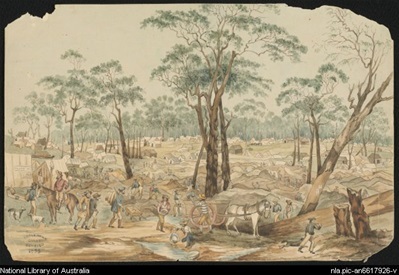 Goldfields, Eaglehawk Gully, Bendigo, Victoria. The Bendigo Advertiser of 19 July 1856 reported that Nathan Welham was fined 40 shillings plus costs for keeping his "house" open after hours and told that another infraction would result in the loss of his license. Nathan Welham, charged with not keeping a lamp burning before his door on the night of the 15th instant, was fined Five Pounds. The police in this case stated that the defendant gave them considerable trouble. Abusive and Obscene Language - Nathan Welham was also charged with making use of abusive and obscene language in the public highway on the occasion when the constable served him with the summons for not keeping his lamp burning, and was fined Ten Pounds, or fourteen days imprisonment. The Bench also notified that on Thursday a Licensing Branch would sit to take into consideration the propriety of allowing the defendant to hold a license as a licensed victualler. In April 1857 it was reported in the Bendigo Advertiser that a new application made by John Croker for a license for the London Tavern, Eaglehawk was granted. By April 1857 Samuel and family, and Nathan, Jane and their first child Henry Samuel, returned to Newcastle, and with the help from his father, Nathan re-opened the pottery works, under the name of the “Burwood Pottery”. Salt glazed pipes, bricks and chimney pots were produced as well as domestic ware, much of which was stamped N.WELHAM POTTERY NEWCASTLE. 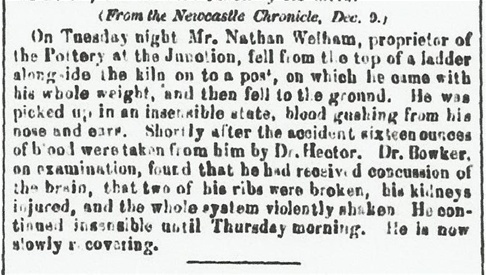 Left top: Newcastle Chronicle 1/11/1865, Left bottom: Nathan's pottery impression, Right top Newcastle Chronicle 6/12/1865, Right bottom: Newcastle Chronicle 24/2/1868. In 1862 Nathan won a Silver medal at a London exhibition for the best pottery from N.S.W. He was awarded a terracotta plaque at the Intercolonial Exhibition, Victoria, in 1866-7. The Latin inscription on the plaque reads: “The gifts are not all the same in appearance nor are they totally different just as the likeness found amongst sisters in a family”. 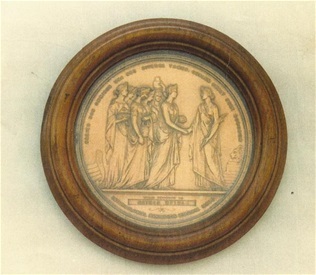 Plaque awarded to Nathan Intercolonial Exhibition, Victoria 1866-7. Excerpt from "The Australasian" newspaper (Melbourne, Victoria) 18th March, 1865, reprinted from the Newcastle Chronicle. Without reference to rotation, we would at once call attention to the establishment of a pottery at the Junction, Lake Macquarrie Road. Here it appears that some years back Mr Welham commenced operations in this branch of industry, at first producing only the most simple articles of ware for household purposes, and gradually introducing articles of a more elaborated design and luxurious application. With the advantage of coal at the factory door, carriage practically nothing, and previous to the gold mines being discovered, labour at an available rate, this establishment progressed, and in combination with other industries of his time was afforded to make the manufacture staple, although, through accidents and casualties incidental to the trade, a loss upon one occasion was sustained, amounting to several hundred pounds; yet the Welhams persevered. Besides a brickfield, where several hands are employed, the pottery is being successfully carried on, and articles are being manufactured out of our own soil which we had to order from England and America. The leading articles are now being made, as being nearest to sale and every-day requirement, are drain and other pipes, chimney pots, milk pans, basins and ( ?). The cooper and turners are anticipated by the production here of well-finished churns and two to five gallon jars. Ginger-beer bottles form a leading item on the list, and the writer had the satisfaction of seeing moulded in a few minutes from the plastic clay, objects such as vases, chamber candlesticks &c, that, for utility or design, could not be superseded by the workmen of Dresden or Staffordshire.. 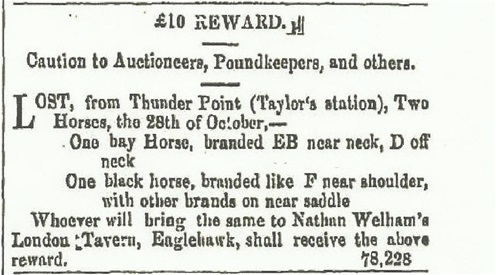 The advantages that Mr Welham possesses are – first, a thorough knowledge of the trade; secondly that clays required for combination are procurable in his neighbourhood; and thirdly that he can bring into the market the most sound and modern articles at an advantage over importers, who have to meet the risks of breakage and insurance, the high freights payable on hollow ware by ship measurement, besides the advantage of knowing the colonial demand, whereby to regulate his supply. We intended to enter into a detailed account as to the process of manufacture, but the notice of so many kindred subjects press upon our space. We must again revert to this subject, merely adding that we think the highest amount of support is due to Mr Welham in this instance in being able to produce from colonial soil and by colonial labour goods to compete with the older countries. He has at the Junction a large amount of capital invested in the latest patent machinery applicable to the trade, and with a depot in Newcastle, will be able to export this article of our local manufactories at a cheaper rate than any of the Australian colonies can produce the same requirements on their own soil. A t the age of 34 years, Nathan was sentenced to two months gaol in May 1866 for selling spirits without a license. In the "Gaol Description and Entrance Book" he was described as 5 ft 11 1/4 inches tall, stout, of fair complexion, brown hair, his nose, mouth and chin were decribed as medium and he could read and write "fairly". He was released on 14th July, 1866. 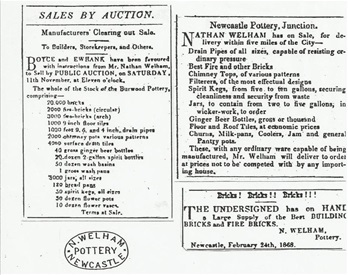 "It may interest some of our readers to know that the whole of the firebricks used in the construction of the furnaces and chimneys have been supplied by Messrs Hughes and Drury of the Burwood Firebrick and Clay Works, and the common bricks by Mr N.Welham, proprietor of the Newcastle Pottery." "50,000 common bricks have been used since the works were commenced." Nathan, Jane and their family migrated to New Zealand sometime in 1869. When in Newcastle, N.S.W., Nathan had agreed to work for Mr S. Hutchison in Dunedin as a potter, bringing with him his own machinery. In return Hutchison had advanced fares and freight costs of 75 Pounds. Presumably Nathan did not fulfill his contract to work for Hutchison and a court case over the ownership of the machinery was reported in the Otago Daily Times on 13/01/1870. An advertisement in the “Otago Daily Times” on 15/11/1870 in the “Wanted To Sell” column listed drain pipes, slat glazed sewerage pipes, junctions, bends and traps, flooring tiles, chimney pots, flower pots and building bricks under the title “Steam Pipe Works and Potteries”, Water of Leith, Dunedin. This advertisement occurred fortnightly until 10 June 1871. Nathan was recorded on the Electoral Roll as leasing 7 acres of land from March 1871 for seven years in North East Valley. There were brickworks, and a house and stables on the site. On 18/1/1871 Nathan purchased 2 adjoining blocks of land from the Cargill family on Leith Street backing onto Athol Place (now Anzac Avenue), which he paid 300 pounds for. The New Zealand Gazette recorded on 19 June 1871 that Nathan Welham was bankrupt with debts of 1619 pounds and assets of 1525 pounds. He applied for discharge in August 1871, but it was not granted until March 1872. The Britannia Pottery Works, Tokomairiro. Amongst the “local industries” of various kinds which have now been established throughout the country, the Britannia Pottery Works, Tokomairiro, are well worth of notice. They are situated about a mile from the township of Milton (50kms south of Dunedin, Otago), upon the property of Mr George Jones, of The Grove – a picturesque retreat much frequented by picnic parties, church and school benefit parties, and pleasure-seekers generally. But while The Grove has been the source of pleasure to many in the past, it is gratifying to know that it is likely also to prove the source of considerable profit to the owner for the future. Clay of a very superior character was discovered to exist on the estate, a few years ago by Mr Jones, who then entered into partnership with the then proprietor Mr John Dewe, for the purpose of manufacturing bricks, drain pipes,etc.Samples of the clay were sent to Dr Hector for analysis, when that gentleman reported that several of them were admirably adapted for the manufacture of pottery ware, and suggested that a commencement should be made with insulators, then required for telegraph lines, and which had to be imported into the Colony. Apparently nothing was done in the matter of the pottery ware until very recently, when Mr Jones entered into an arrangement with Mr Nathan Welham, lately of Dunedin, and who is now actively engaged at the works. It may here be mentioned that Mr Welham wasproprietor of similar works in New South Wales in 1852, and obtained the first prize for Colonial made pottery ware atr the London Exhibition of that year. He also obtained a similar prize at the Melbourne Exhibition of 1865. He is therefore adept at his trade, and in his opinion the clay used at the Britannia works is superior to any he has seen in the Colonies, and better than that of which he made his prize samples referred to. No expense has apparently been spared to procure machinery in every respect suited for the work. The clay is dug out of the pit, is at once wheeled into the pug mill, out of which it is emitted in the form of pipes of from two to eighteen inches in diameter, smooth almost as glass, and which, without any additional dressing (as a general rule), are ready for the kiln. There is also another pipe-making machine unattached to the mill, containing two dies, and which can be wrought at the same power- viz., a steam-engine- procured for the purpose. After the proper quantity is made, the pipes are removed to the kiln, where they may either be burnt into agriculture drainage pipes or into salt-glazed stoneware for sewerage purposes. But by far the most interesting operations are those connected with the manufacture of small articles of pottery ware. For this purpose, the clay is passed to a bench upon which is placed a small wooden wheel, simply a round bit of board, about a foot in diameter, and which revolves horizontally. The operator takes a lump of clay in his hand and addresses the visitor – “Now, Sir, what article do you wish made?” “A flower pot.” The clay is laid upon the revolving wheel, and simply by the manipulation of the naked hand the desired article is perfectly formed in a very few seconds, and laid on one side. “What next?” “A ginger beer bottle.” The same process is gone through, and in about the same time. “There you are Sir; next order?” “ A candlestick.” Down goes the clay, and up springs the candlestick. An out of the way order seems to cause no hesitation, and the same operator can readily supply either an ink bottle, a milk basin, or a ten gallon can. If ornamentation is wanted, moulds are within reach, and by means of these, the Royal arms, flowers, horses, or any such device, are at once imprinted upon the article. The whole reminds one forcibly of the manipulations of the glass-blowers who recently visited the Province, and to those who prefer the useful to the ornamental, the operations of the potter may not prove the least interesting. Only one kiln has yet been used, but another is about to be erected specially for salt glazing. This it is proposed to construct of fire bricks, as what is believed to be a good fire clay has also been discovered upon the property.This however, has not yet been tested, but should it prove of good quality, the manufacture of fire bricks etc would no doubt prove very remunerative, and would at once be commenced. The pottery department in connection with these works has only just been started, and no doubt the additions, alterations, and adaptions incidental to that stage of proceedings will have to be made. It seems however that the establishment possesses all the essential elements of success, and when everything has been got to run smoothly will prove an object of interest to visitors to the district. A large amount of money has hitherto annually been sent out of the Colony for the purpose of genuine articles in yellow, brown and stone potteryware, which for the future may be obviated; and in view of the extensive public works being undertaken by the Colony, it is gratifying to know that the supply of raw material at the Britannia is inexhaustible, and that the demand alone will regulate the extent of the manufactured article. 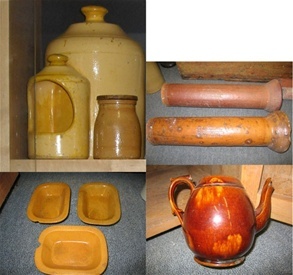 Pottery produced in Milton about the 1870's including drain pipes - display Tokomairiro Museum. 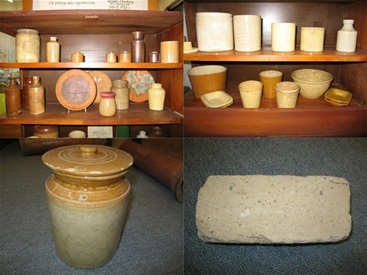 More pottery produced in Milton about the 1870's, including a fire brick - display Tokomairiro Museum. The spirit and enterprise of Mr Welham in endeavouring to start a pottery in our township is deserving of the highest praise, and an inspection of his several articles of manufacture will well repay the trouble of a visit. We may state that he has been most persevering in testing clay of different kinds – carted, and some of it from considerable distances, with a view of obtaining really the very best, and as we have no doubt, by continued perseverance, he will overcome his present difficulties and produce an article second to none. His production of pipes, flowerpots, basins, and other articles are very creditable and are commanding an extensive sale both in this and surrounding districts. Regular advertisements appeared in the Bruce Herald such as the one below. NB – Agent for Neilson’s superior lime, a supply always on hand, and delivered to any part of the town. The Bruce Herald of 11/12/1872 reported that the council had been presented with a petition signed by nine inhabitants of Milton claiming that Nathan Welham’s pottery works were causing pollution and destroying vegetation nearby. On 31st December the Works Committee reported back to the Council that similar damage to local vegetation was occurring elsewhere possibly because of the summer weather, but Mr Welham was asked to raise the height of his pottery works chimney by a few feet. Mr Welham of Milton, showed some very superior salt-glazed drain pipes, to which a silver medal was awarded, but we regretted that he had not sent a fuller display of his really excellent pottery. On Saturday evening last, an accident of a very serious character happened on the district road at the north end of the town. It appears one of Mr Wilson’s (timber merchant) teams was coming down the road laden with logs for the saw mill, while the driver (Aicheson) and Mr Welham of the Pottery Works, were sitting on the top of the load. At the same time, Mr A. McLaren was coming down with a mob of horses. As soon as the horses passed the team, the latter started into a trot, and the driver, not having any reins, the horses not paying any heed to his voice, they soon quickened their speed into a dangerous pace. Welham had been gradually creeping back on the load to drop off behind when he got pitched off violently, landing on the back of his head, and, being a heavy man, the blow must have been pretty severe, which was also evidenced by blood spouting freely from his ears. In the meantime, Mr McLaren, by galloping ahead of the team, managed to turn it into the street behind Mr Wilson’s yard, where they were stopped without any further damage being done. Mr Welham was conveyed home, and was quite delirous during Saturday night. So severe was the concussion that the doctor then had not much hope of his getting over it. He was, however, a little better on the Sabbath, and we are glad to say favourable symptoms continue. Six weeks later he was back advertising his wares locally. PRELIMINARY NOTICE. Being now about to commence the Pottery Business, Flower Pots, Chimney Pots, Milk Dishes, Cream Jugs, and Draining Pipes of all sorts and sizes can be had from NATHAN WELHAM, Manufacturer, Milton, Tokomairiro. TO BUILDERS, RAILWAY CONTRACTORS, AND OTHERS, Salt glazed sewerage pipes will be supplied at the following prices – 12 inch 2s per foot, 9 inch 1s 3d per foot, 6 inch 6d per foot, 4 inch 4d per foot, 3 inch 3d per foot, 38 and 16 inch made to order. Malt Kiln Tiles, Oven Flooring Tiles, Fire Bricks, Fire Lumps, Chimney Tops, Flower Pots, &c. Goods delivered free in the township. Apply to N. WELHAM, Milton. 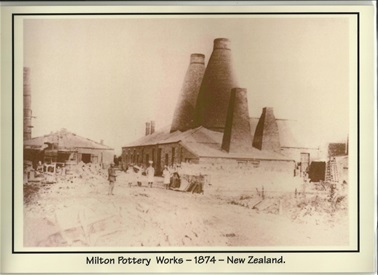 Nathan continued with the Newcastle Pottery until later in 1874 when he took the position of Working Manager of the newly formed Tokomairiro Steam Pottery Works at Milton. By the end of that year 20 artisans were employed. In November 1874 the government proposed a settlement at Jackson’s Bay on the West Coast of the South Island. They offered assistance to anyone wishing to set up a business there, including a brick and pipe works industry. Males over the age of 16 years were to be granted one 10 acre block of land (at six shillings per acre per annum) and one 50 acre block (at three shillings per acre per annum). After 7 years of residence they were to be granted ownership of the land. There were free fares offered to the settlement and cottages would be provided for families to live in until they built their own houses. Early in 1875 Nathan headed for the West Coast, travelling via Greymouth and Hokitika to Jackson’s Bay. He became ill through dampness and exposure and died on 11 March, 1875. The Journal of the New Zealand House of Representatives Appendices 1879, showing records of monies paid to settlers at Jackson's Bay in 1875,76,77,78, for labour at the settlement, records Nathan Welham as having received three pounds four shillings in February 1875, and two pounds eight shillings in March 1875. We understand that a telegram was received from Westland last week by the Rev. J Chisholm announcing the death of Mr Nathaniel Welham at Jackson’s Bay, on the 11th instant, which melancholy event Mr Chisholm was asked to announce to his widow and family who still reside in Milton or its vicinity. 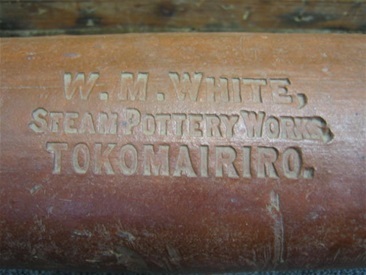 Mr Welham was one of the first to introduce pottery and drain pipe making into Dunedin, and was also for some years since, so employed in Tokomairiro. 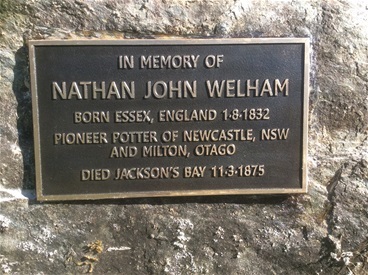 A man named Nathan Welham died at Jackson’s bay on the 11th instant after an illness of six days. In the absence of a coroner and the resident agent, evidence was taken as to the circumstances under which he died, by Mr W.G. Murray, Government Surveyor. 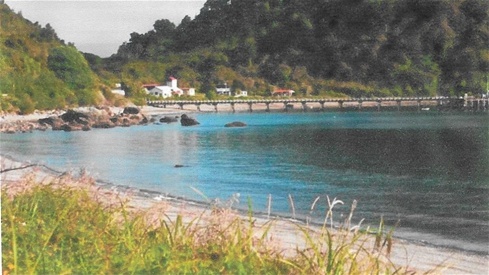 The evidence of James Cox, John Love, and Charles Robinson, went to show that the deceased had lately left Greymouth, via Hokitika, for Jackson’s Bay, that when he arrived he had no swag of any kind, saying that his swag had been left at Brunnerton. When camped out in the bush, he caught a severe cold through wet and exposure, suffered severely in his breathing, and from spitting of blood, became delirious and died, notwithstanding the constant attention of two men appointed to tend to him by Mr Macfarlane, the resident agent. The Rev. Mr Porter gave it as his opinion that death was caused by a severe attack of swamp fever. He was buried in a grave adjoining the graves on the esplanade at the settlement, all the inhabitants attending the funeral, and the service being read by Mr Porter. The deceased had lately come from Otago, as brickmaker for the Grey Coal Company, and had left his wife and family at Milton, Tokomairirio, where he had at some time had a small property. One of his sons, aged nineteen, is said to be employed in a store in Dunedin. To his wife, from whom he had received a letter by the last steamer, the sad intelligence has been communicated by Mr Macfarlane. West Coast Times - 15th April 1876. 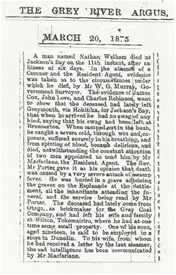 The West Coast Times dated 15th April, 1876 mentions Nathan Welham's grave (written as Nathaniel Whelan) being one of three on The Esplanade "which is the centre segment of the crescent-shaped shore " at Jackson's Bay. "The circumstances of whose death are not detailed on the simple slab which marks the spot". Jacksons Bay, Westland, South Island, New Zealand. 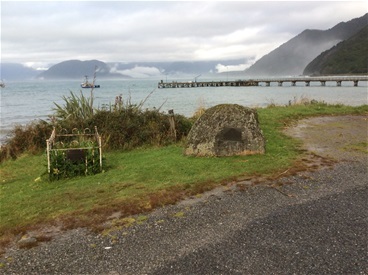 The photograph below is of the foreshore at Jackson's Bay where Nathan Welham is buried, possibly partly beneath the large stone placed by the New Zealand Historic Places Trust in remembrance of the government experimental settlement here between 1875 - 1878. The fenced grave is that of Claude Morton Ollivier who died aboard the schooner "Ada" in 1862. Next to him, but no longer marked is the grave of Charles Boxhall who died on board the steamer "Alhambra" in 1865. Nathan was believed to have been buried next to Charles Boxhall with only a simple marker to indicate who he was. - Many thanks to Kathryn Blakeley, a local resident, who has passed on to me local information, and who accompanied me to the site. 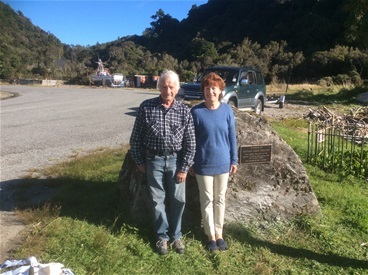 My brother Murray Welham and I travelled to Jacksons Bay armed with battery operated heavy duty drills, bits, heavy duty adhesive etc, and attached a bronze plaque on the other side of the large stone which has the plaque commemorating the unsuccessful establishment of a settlement there between 1875 - 1878. 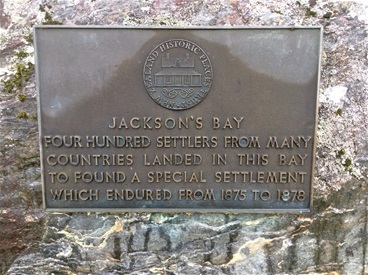 Plaque commemorating the establishment of a settlement at Jacksons Bay between 1875 - 1878. Murray Welham & Jenny Richardson (nee Welham). Nathan is our 2 X great grandfather. Mission accomplished! A report from the Bruce Herald Newspaper 16 December, 1887, on Mr Hamilton's Brick and Tile Works situated on the district road leading to Table Hill, mentions a pipe machine, which easily managed by a man and boy, could turn out about 1000 small pipes a day. "The machine was brought from Sydney by the late Mr Welham about a dozen years ago. It was not new then, but is as good as ever. The maker's name is Harris Day, London". Nathan’s death left his widow Jane with a family of seven children ranging from two years to eighteen years. Jane returned to live in Milton and there are records of her buying a house in Chaucer Street with advances from the local Friendly Society. 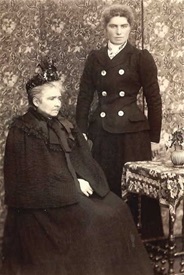 In 1902 after the family had grown up, Jane went to live with her daughter Annie who was by this time married to John Wyber (Milton) and lived in Gore where John was a stock dealer. Bruce Herald, Advertisement 30 June, 1905. Convenient Property in Chaucer street. The property consists of nearly Half Acre of Land with comfortable House of four rooms and scullery, wash-house, coal-house, and good stable. Jane died on 30/08/1906 and was buried in St Johns Cemetery with her sons George and William who had pre-deceased her. 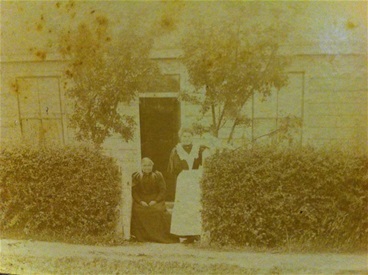 Jane Welham seated in front of her Chaucer Street home. Photo supplied by Amanda Miller.